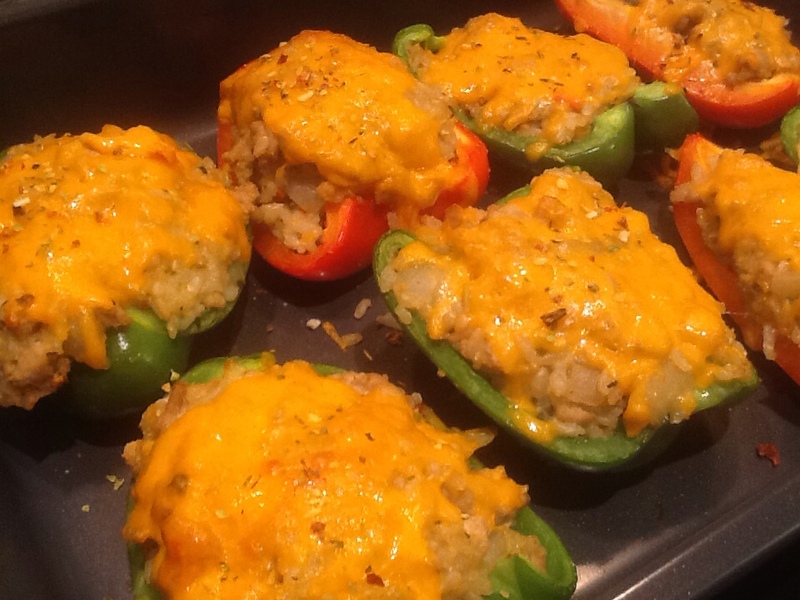 Stuffed peppers | ARTZCOOL'S BLOG! Whew, once again, things have been crazy busy. I can’t believe how long it has been since I have had time to post! I guess winter has sucked all of the energy out of me…it’s been a long and cold one this year, so, all the more reason to do something creative! 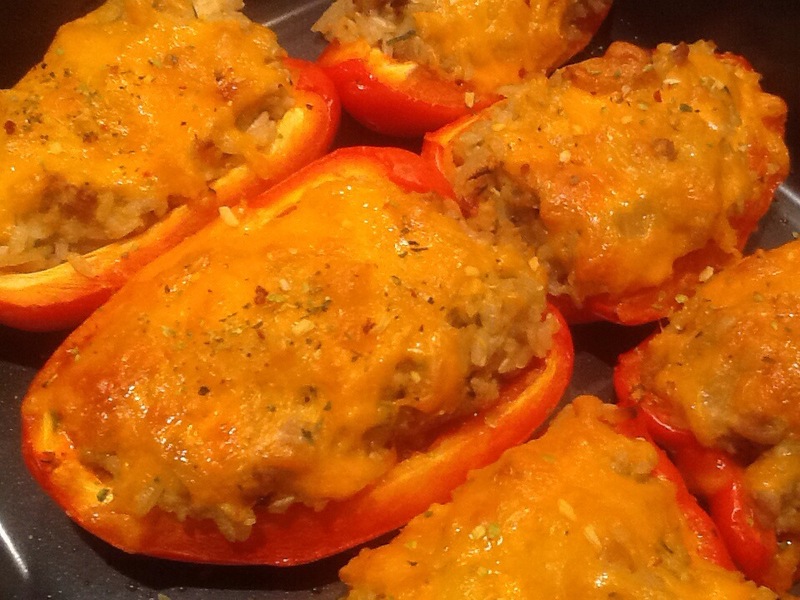 But, instead, I had to cook dinnr, so I will write about that…..I made these stuffed peppers once before and they went over pretty well with the family, so I thought I would share. 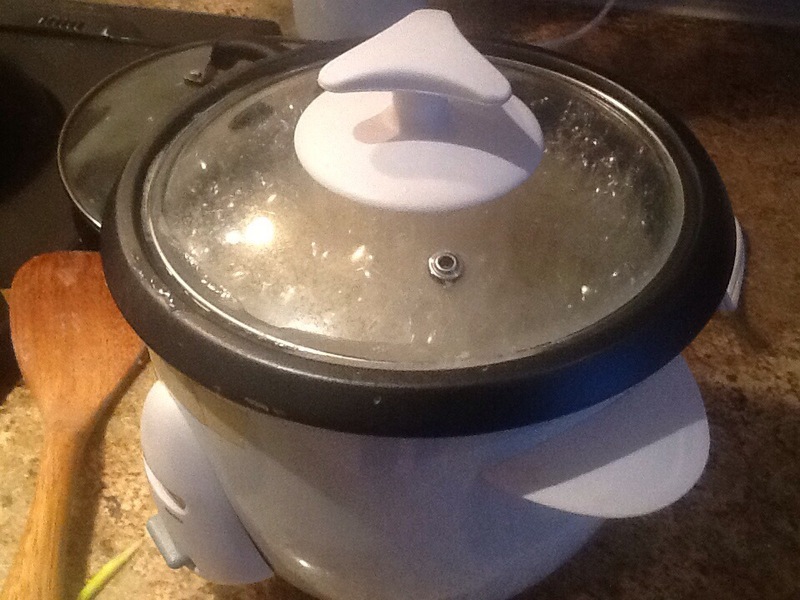 I started by putting about a cup of brown rice in the rice cooker. White rice would work too, but we have recently switched to brown rice, and no one has really complained, so I used brown rice. I did add a little powdered chicken soup base to the water to flavour it a little. 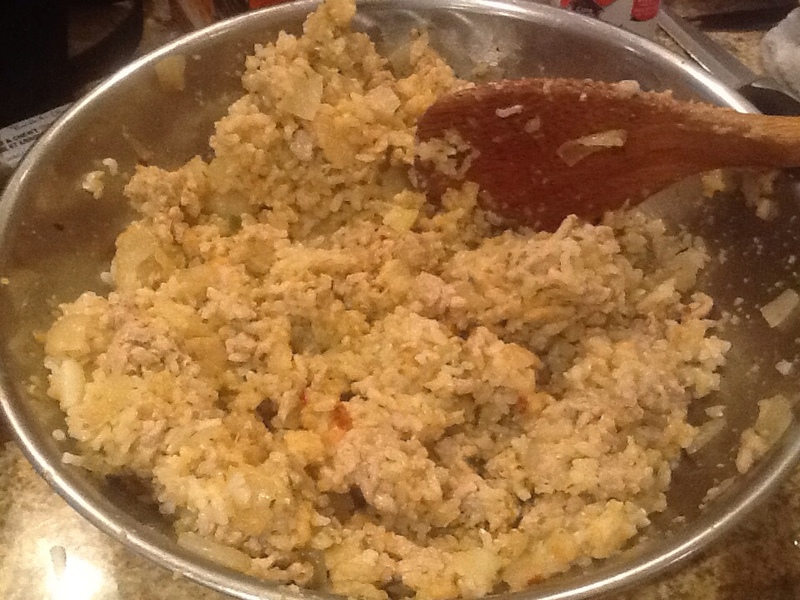 Then, while the rice was cooking, I fried up a package of ground chicken in a large frying pan. 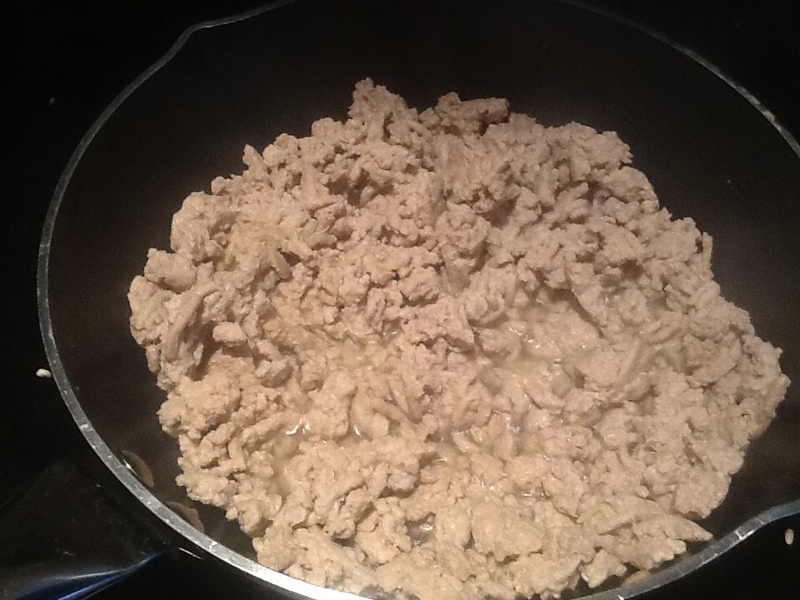 I dumped the ground chicken into a bowl to cool and I used the same pan to cook a couple onions. I cooked them until they became transparent, and caramelized a little. 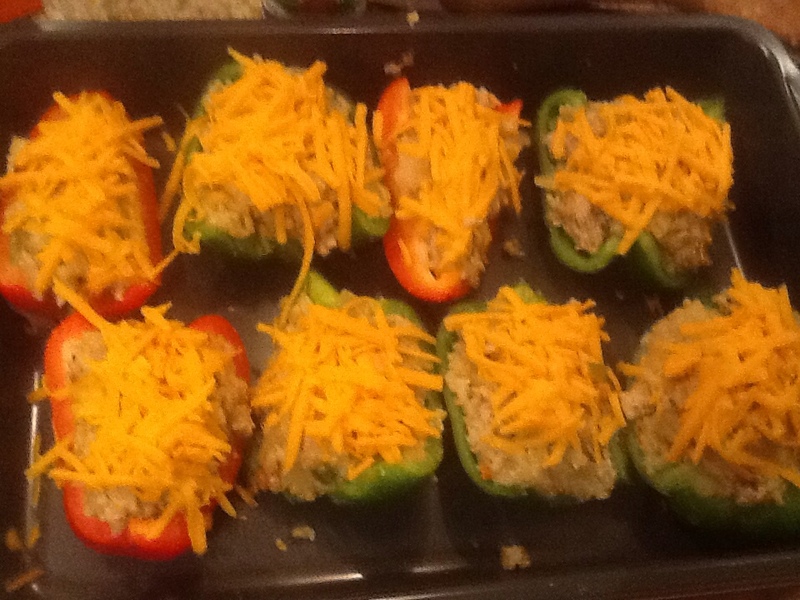 Then, I cut up the peppers into thirds, and spread them out in a baking pan. 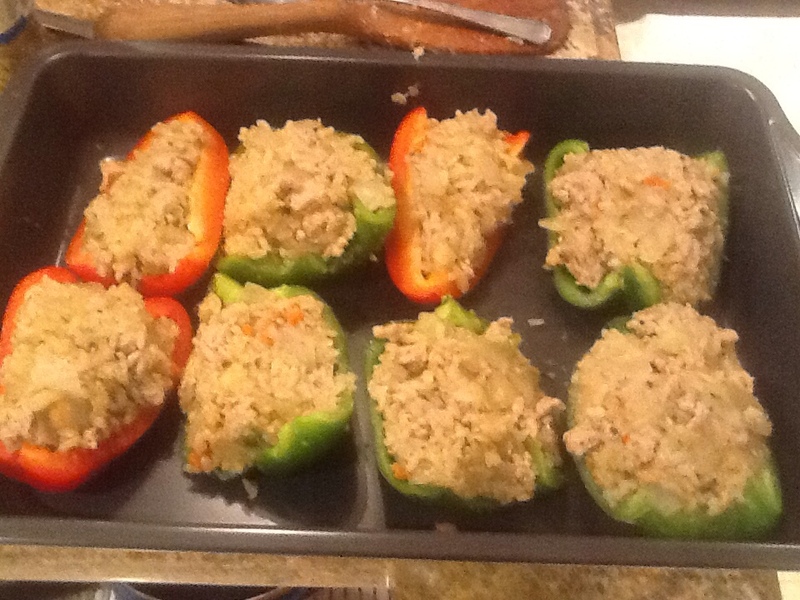 By the time I had the peppers cut, the stuffing was ready, so I dumped it into the bowl with the chicken. 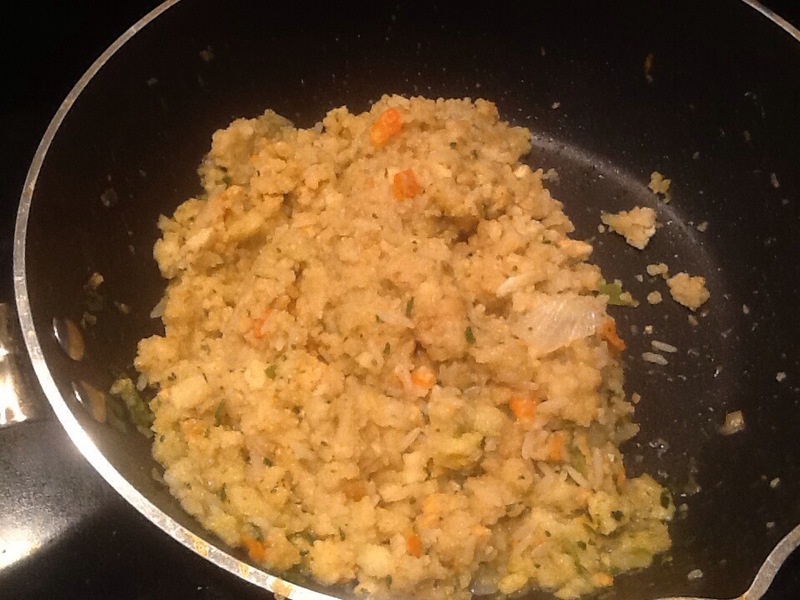 By this time the rice was cooked, so I added a couple cups of the cooked rice, and mixed everything together. I also added a bit of soya sauce and garlic powder for flavour. Then added some cheese on top. I would have used mozzerella, but all we had was cheddar, so that’s what I used. I also sprinkled a little greek seasoning on top. Then, I put it in the oven for about 20-25 minutes at 375 degrees. The best part is that it made enough for two dinners. The first time, we ate it as a meal (why not, it contained all four food groups, right?) 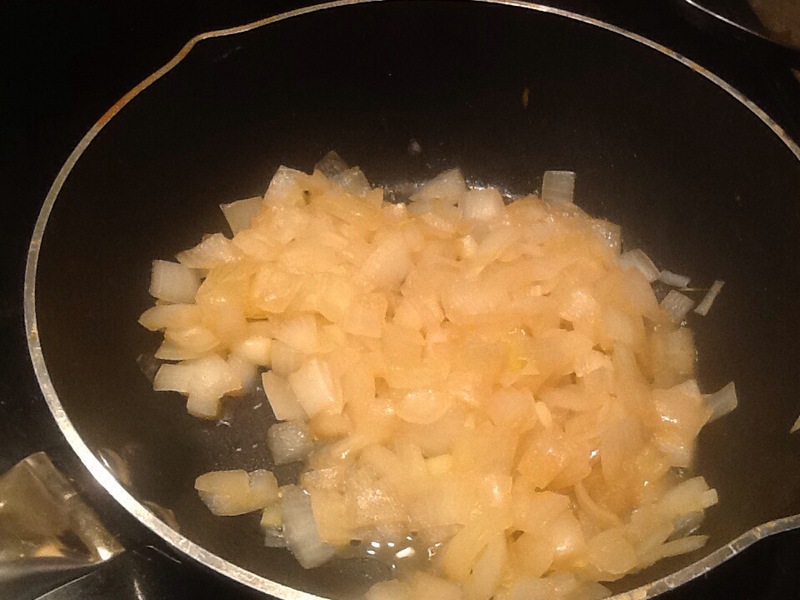 The next night, we had it as a side dish. Next time, I might add some corn, or carrots, but overall, it was good. I’ll make it again! For those of you in cold places, keep warm, winter will be over soon! This weekend sounds like it’s going to be awful…up to 20cm of snow! ugh.